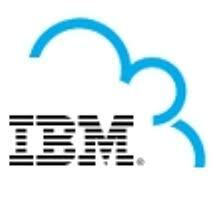 IBM (NYSE: IBM) recently unveiled the industry’s most advanced cloud services and software designed from the ground up for enterprise clients. New IBM SmartCloud services and capabilities introduce unprecedented choice, security and portability as businesses shift critical activities to the cloud and use it as a platform for business. - IBM SmartCloud Application Services – A new platform-as-a-service that will give enterprises the cost and time savings of a cloud environment for a wide range of enterprise applications while maintaining a high level of control and security over deployment and access. - IBM SmartCloud Foundation – A new portfolio of breakthrough cloud software and hardware that allow enterprises to quickly deploy and control clouds within their own firewalls. - IBM SmartCloud Ecosystem – New services for IBM partners and independent software vendors (ISVs) to help thousands of small and medium business clients adopt cloud models and manage millions of cloud based transactions by assisting their customers in areas as diverse as banking, communications, healthcare and government to build their own clouds or securely tap into the IBM SmartCloud. According to IBM’s CIO survey this year, close to 60% of companies in the ASEAN are now ready to embrace cloud computing over the next five years to help propel business growth. The survey also revealed that CIOs cited leveraging cloud services [ASEAN 23%] as among the top activities they plan to adopt to control and reduce legacy costs. Compared with the Midmarket CIO Study 2009, there was a 50% increase in the number of ASEAN companies planning to invest in cloud computing.